If you are looking for toys which are affordable, fun and entertain kids, our range of Building Blocks is most definitely for you. 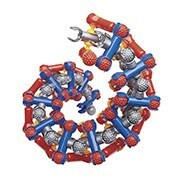 They are perfect for those who enjoy problem solving and are interested in DIY projects. The products within the range come with an instruction manual and tools to assist you. The selection includes different designs tailored to boys and girls, as well as various levels of difficulty to suit all individuals. 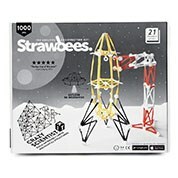 You can build toys such as animals and cars with the guarantee that you will find something to peak your interest. You are able to build products in both 2D and 3D. 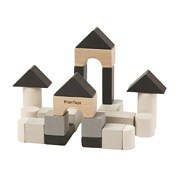 The sets also vary in sizes and pieces included. We offer the bests deals for this product, providing affordable prices that cater to all budgets. Whilst the products can be enjoyed by all ages, they are child friendly and make great presents. If you need to entertain children, these sets are great craft ideas. They can develop their artistic abilities and improve their creative problem solving skills. Furthermore, the finished product can be kept as a toy or it could be used for kids bedroom décor. Kids can also keep their creations and be proud of themselves! Are you dreading having to pick up, load and unload your order box? There is no need to worry as we will bring your order straight to your doorstep, wherever you are in Australia. If you are interested in learning more, please don’t hesitate to contact us using our online enquiry form. Many of our products qualify for free shipping within Australia.